Now and again we have been asked to produce something beyond our day to day offering in the Coffee Shop. Across the summer we have been providing packed lunches for some organised walking groups as they pass through Grosmont, on the last stage their coast to coast walk. 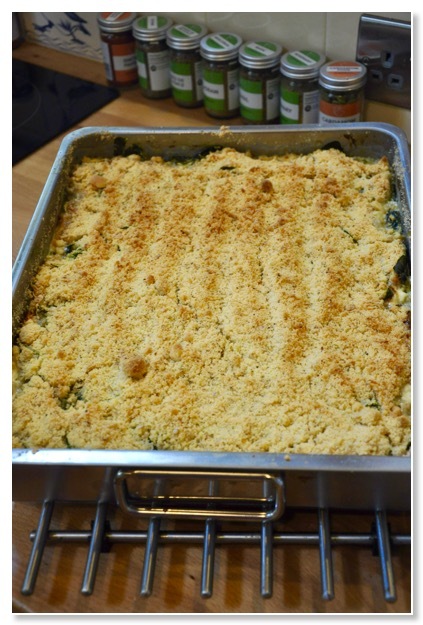 This month, Bill is making food for the cast and crew of a film company filming on location in Grosmont for a couple of days. Hot food at lunchtime and sandwiches at tea for thirty hungry people, alongside our normal operation for those two days is a bit of a challenge, but it's nice to be able to help. We are also putting on a Christening reception for the twin boys of a local couple. The father of the boys was at school here in the 90s when the Coffee Shop was still the village school. The Christenings will take place in St Matthew's next door. Emily will be making special cakes for the event. We found an old, Victorian period, wall clock in our local auction which just about keeps time in the Coffee Shop. Customers enjoy hearing it chiming on the hour. 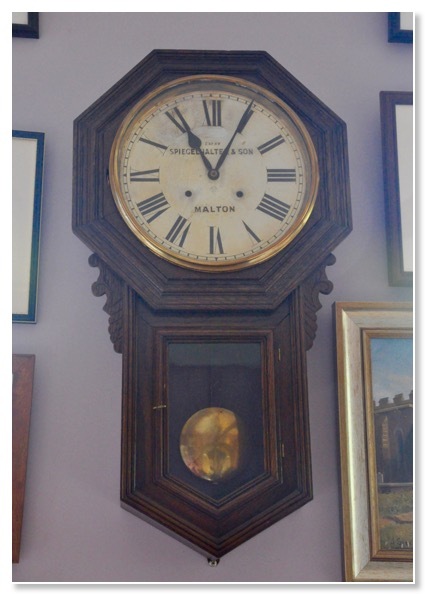 We have to own up to some fakery when they notice the details on the clock's face suggesting it was made in Malton by a clockmaker called Spiegelhalter & Son. Close inspection of the face of the clock reveals that it was actually made (as thousands were) by The Ansonia Clock Company of the USA. At some point, the numerals on the clock face were damaged and somebody - perhaps they really were called Spiegelhalter - hand painted over the original printed numbers and added the dodgy provenance. We like it all the more for that. 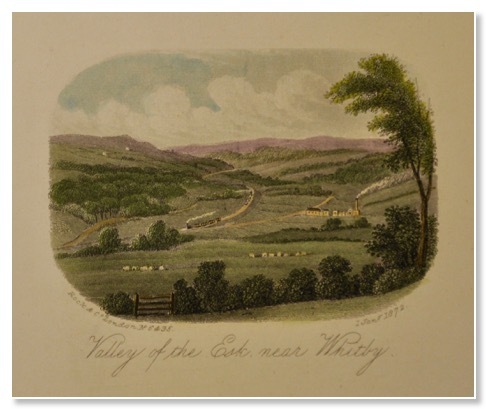 Rootling through a box of prints in a bric-a-brac shop in Whitby, Bill found this coloured print (dated 1872) of an engraving showing an early steam train passing through Esk Valley, just outside our village. Since the print was made a row of cottages has been built between the railway and the track (now the Rail Trail) visible in the picture. The mill, shown with its tall chimney smoking, is now used as a dormitory for visiting Brownie packs. Other than that, the view, including steam trains with heather moors above, is still recognisable. We intend to reproduce the view as a postcard to sell in the Coffee Shop.